The residents of the Georgetown and South Park neighborhoods in Seattle’s Duwamish Valley now know how much diesel exhaust they are exposed to, thanks to the University of Washington School of Public Health and Puget Sound Sage, a nonprofit coalition in Seattle. A large volume of traffic travels through these South Seattle communities due to nearby highways, industry, train routes, and the Port of Seattle. Sixty percent of neighborhood residents surveyed in 2009 by Puget Sound Sage believed pollution from commercial trucks affected the health of their families. Long-term occupational exposures to high concentrations of diesel exhaust have been linked to respiratory and cardiovascular health problems as well as cancer. “Residents were most concerned about commercial truck traffic. They see these trucks travel through their neighborhoods every day. They wanted us to monitor pollution levels where people lived,” said Dr. Julie Fox, a researcher in the UW Department of Environmental and Occupational Health Sciences at the UW School of Public Health. It was in response to community concerns and support from the Kresge Foundation that the University of Washington School of Public Health partnered with Puget Sound Sage to help residents measure levels of diesel exhaust in the two neighborhoods. "We were able to develop a much more refined understanding of exposure—and the impacts of various sources of exposure--for this area of the city. Using the skills and expertise from UW scientists to respond to community concerns, we were able to provide detailed community-level data on pollutants that are markers of diesel exhaust," said Dr. Fox. Researchers collected data over a two-week period in summer 2012 and winter 2012-2013 on primary pollutants that serve as markers of traffic-related air pollution. They are 1-nitropyrene, a polycyclic aromatic hydrocarbon that is a by-product of combustion from diesel engines; black carbon, and particulate matter less than 2.5 μm in diameter. The researchers also compared these measurements to pollutants measured in residential sites in Queen Anne and Beacon Hill, which are located atop hills and have less commercial truck traffic. 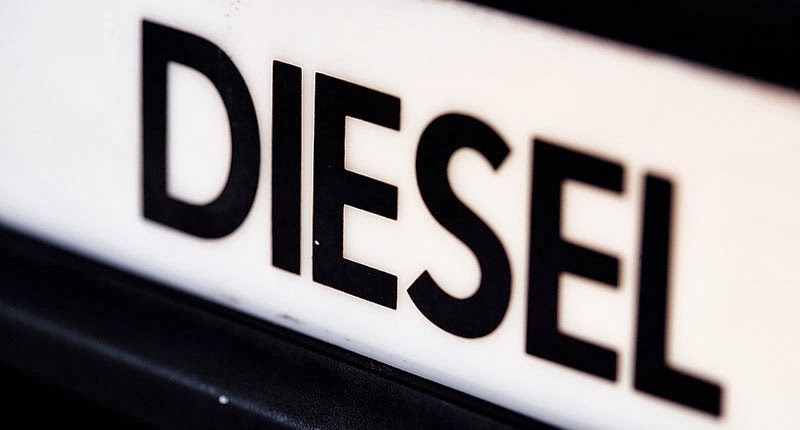 Results indicated that residents of South Park and Georgetown are likely exposed to higher levels of diesel exhaust than residents of the Beacon Hill and Queen Anne. Also, within the two Duwamish Valley neighborhoods, pollution levels varied, even across small areas, and residents near busy roads and industrial areas faced higher levels of diesel exhaust pollution. Other UW Environmental and Occupational Health Sciences researchers involved in the DEEDS study include CEEH Deputy Director Dr. Joel Kaufman, Jill Schulte (MPH, 2013), Dr. Sheryl Magzamen, a former postdoctoral research scientist, and Nancy Beaudet, of the UW Occupational and Environmental Medicine Clinic. A report on findings from the DEEDS study are published online.